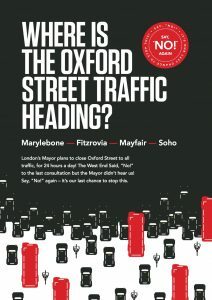 It was realised last year by all of the major West End Amenity Societies, throughout Mayfair, Marylebone, Soho, Fitzrovia and Bloomsbury, that the Mayor’s proposed pedestrianisation of Oxford Street, although completely unworkable, might actually be pushed through in order to satisfy the rash electoral promise that he had made on the subject. 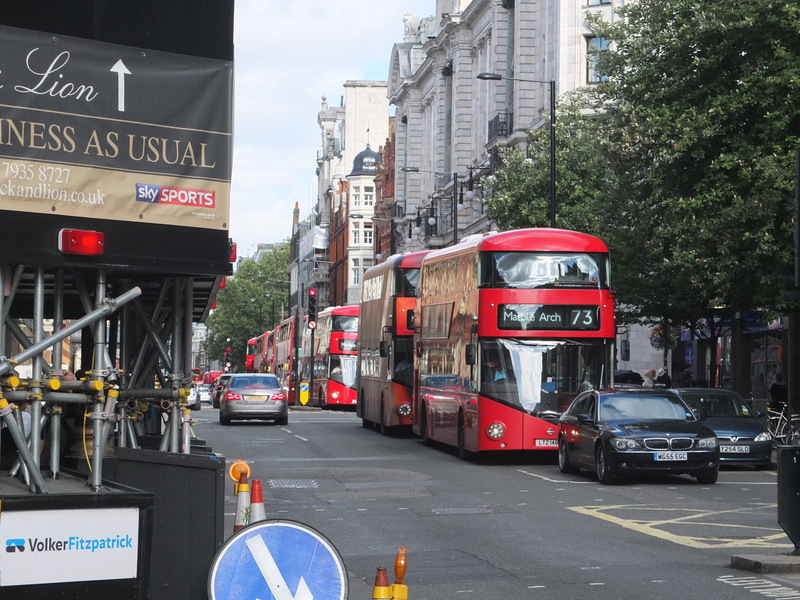 There was a need for an organisation that could speak for those who live and work around Oxford Street to point out the consequences of Oxford Street closure, as we could not expect this to be done by either TfL or the Mayor. And indeed that has proved to be the case. Pedestrianisation is being presented as a win-win scenario with no mention of what would happen to all the displaced traffic – and this is very misleading. 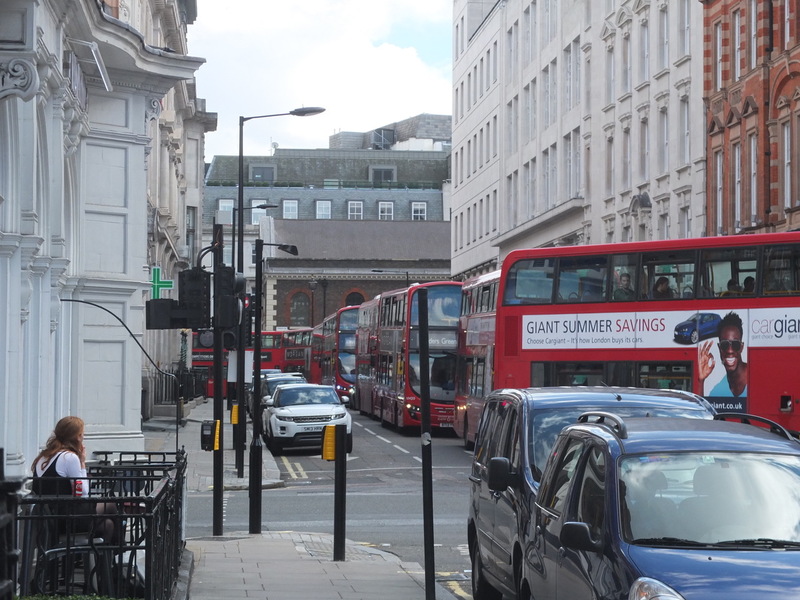 It is the job of BETTER OXFORD STREET to redress the balance – otherwise the public will get only one side of the story. 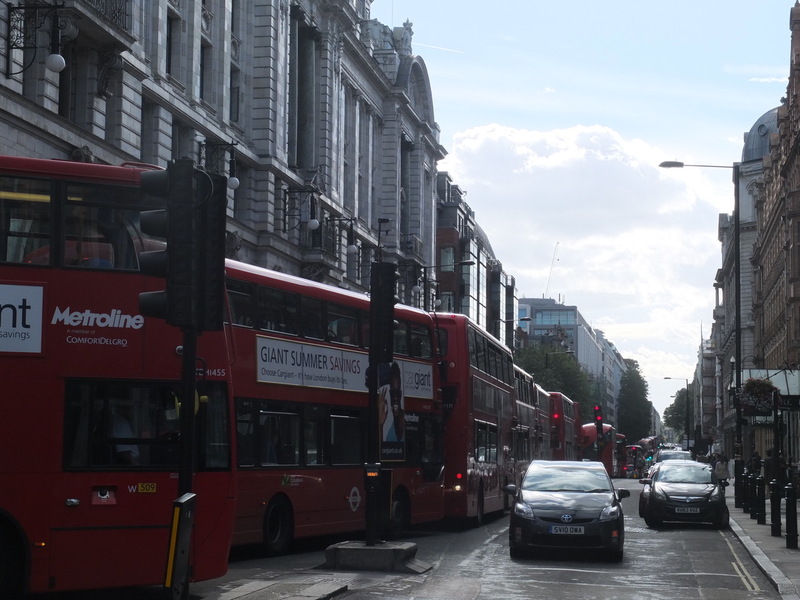 Better Oxford Street was formed in June 2016 by our West End Amenity groups in order to speak out against this Mayoral folly, to spell out the drastic affect it would have on all the areas surrounding Oxford Street. Its consequences would be felt not just in a single part of the West End, but all of it, across Marylebone, Mayfair, Fitzrovia, Soho, Bloomsbury and beyond. They all have a large number of long standing residents, and small businesses, as well as medical institutions and schools. 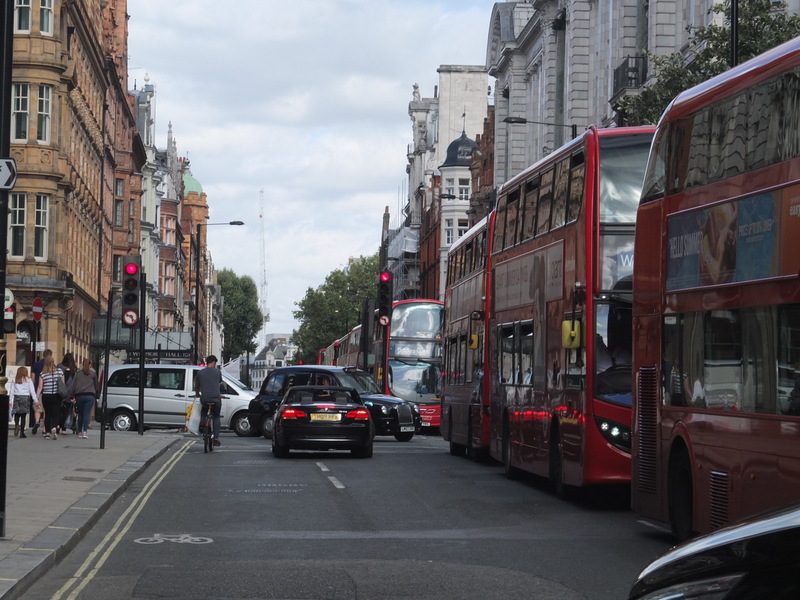 What none of them need is more traffic, more pollution and more congestion than they already have, but that is what they will get if the Mayor’s scheme is implemented because there will be nowhere else for the traffic to go. Now we have TfL attempting to play the honest broker with their consultation seeking the views of all on pedestrianisation, although they do not even dare call it that. They call it “transformation” although the vast majority of people they will ask will not be equipped with the information to assess the full consequences of Oxford Street closure. They will be equally ill-equipped even if they take the time to read the TfL guidance on this, which is misleading. The consultation guidance is heavily biased in favour of total pedestrianisation, but by not calling it that they are confusing the issue they are consulting on. Further they present this as a scheme to improve the “Oxford Street Area” when it is simply a scheme to “improve” Oxford Street by closing it to traffic to the detriment of surrounding areas. 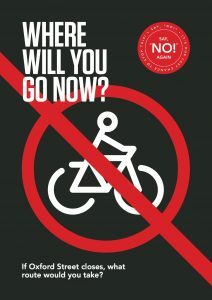 It fails to confront the reality of what will happen to all the displaced traffic that will result; it relies on the same computer traffic modelling with has so far been consistently wrong on its post cycle super-highway predictions on the Embankment and elsewhere, where congestion on the areas surrounding these schemes has been made even worse. However, the Mayor’s agenda is to close Oxford Street and thinks he can do this by only taking out 40% of the buses that use it at present. 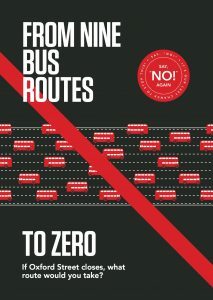 So 60% of the buses have somehow still got to find alternative routes, this on present projections will be 65 to 80 buses an hour that will have to find their way through already congested streets – alongside all of the taxis -and all of the commercial vehicles that service Oxford Street. And he claims that this can happen without affecting the surrounding areas! This is cannot be put down to naivety, if he drives such a project through, regardless, after he has been acquainted with all the consequences, this will show a callous disregard of the very many of those that live and work in central London in the areas surrounding Oxford Street.